Social media is dominated by huge US-headquartered mega-corporations, with mottos such as "Move fast and break things" and an attitude to personal data which can best be summarised as, "Find it, grab it, monetise it." As a result, they are finding it difficult to adjust to the approach of GDPR, and this is never more obvious than when they circulate updated privacy policies in an effort to give at least a veneer of compliance to their use of personal data. Please note that under our updated Terms of Service, users in the European Economic Area must be at least 16 years old in order to use Tumblr. For some reason, the little "heart" emoji made the farrago of misinformation to which it was attached all the more irritating. First, a few points to clarify "consent." For the purposes of GDPR, personal data may only be processed (which includes all acts of using, storing, deleting etc) on one or more legitimate grounds, exhaustively set out in Article 6 GDPR. Tumblr, like all social media platforms, comes into possession of a vast quantity of personal data which, like all social media platforms, it monetises in various non-transparent ways. Accordingly, its interests in collecting the most data and using it in the most flexible manner are directly at odds with the purposes and effect of the GDPR. For consent to be valid, it also has to be as easy to withdraw consent as to give it. Although it is also possible to process personal data provided that is "necessary" either for the formation or performance of a contract with the data subject, or for the legitimate interests of the data controller, provided a due balance is kept with the rights and freedoms of the data subject, these two bases for processing are narrowly drawn and their use in social media contexts has already attracted adverse comment from the EU's Article 29 Working Party ("WP29"). This indicates there will be data gathering through mobile Apps and that there will be sharing across "Tumblr's other domains" (unspecified) and possibly with Oath group companies (for reasons unspecified.) In the WhatsApp example, sharing of WhatsApp user data among other members of the Facebook group was particularly criticised by WP29. Data combination from multiple sources is always an issue, and it is a particular concern where, as here, the data controller is part of a large group of companies (Flickr and Yahoo are also under the Oath umbrella) which also provides email and other services. Because we are a wholly-owned subsidiary, Oath and the rest of our family of companies may receive any information we do, and may share information they have with us. You can keep yourself fairly anonymous on Tumblr, but remember that your posts, blogs, pages, and username are all visible to the public by default. People that know your email address can also find your blogs. If you’d rather be unlisted, head over to your Account Settings. Reblogs, Likes, and Replies are a matter of public record, so if you’re truly ashamed of your desires it’s best to keep them to yourself. But why? Be proud of who you are. You’re beautiful. We’re looking you in the eyes and telling you how beautiful you are. Information About User Content: In some cases, we may collect information about content you provide to the Services. For example, when it's included as part of your images, we may collect information describing your camera, camera settings, or EXIF information. Information Related to Your Web Browser: We automatically receive and record information from your web browser when you interact with the Services, such as your browser type and version, what sort of device you are using, your operating system and version, your language preference, the website or service that referred you to the Services, the date and time of each request you make to the Services, your screen display information, and information from any cookies we have placed on your web browser (as described below). The key point about personal data is that the data subject has to be a natural person who is "identified or identifiable" so associating a unique identifier with a vast range of geolocationary and device level information is quintessentially making that data subject identifiable. We won’t look at (or be able to look at) your contact list unless you ask us to. Why would you ask us to? Because that’s how you would find out if any of your contacts are on Tumblr. We discard this information immediately afterward. The possibility that people who supply their emails to others for limited business purposes may not necessarily want that being used to search whether they also have a Tumblr account devoted to breeding Belgian hares or dressing up as characters from the Rocky Horror Show seems to have sailed blithely over the heads of whoever crafted this policy. Because Tumblr is a US company, your information will be collected and processed in the US. The United States has different laws on data protection and rules in relation to government access to information, and may not have the same data protection safeguards as your home country. You can choose whether or not you want to use our Services. However, if you want to use our Services, you need to agree to our Terms of Service which set out the terms of the contract between us and you. To the extent that Tumblr is deemed to transfer your information outside the EEA, Tumblr relies on the fact that such a transfer is necessary in order to deliver our Services to you, in accordance with the contract between us. Reader: I deleted my Tumblr account and reported them to the ICO. 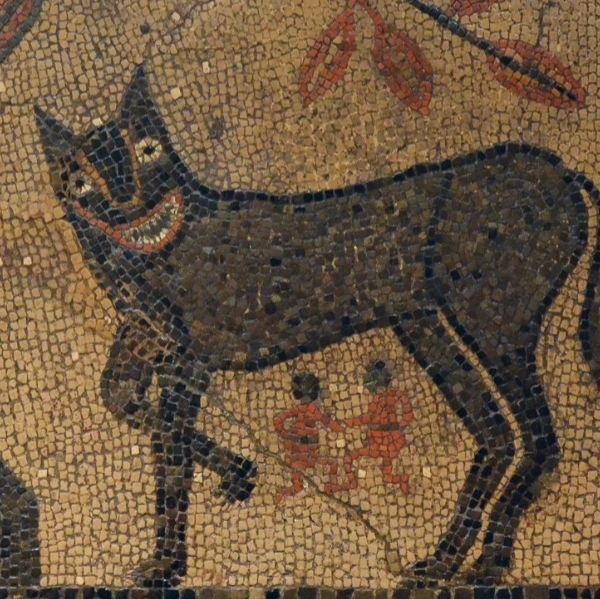 The main image used for this article is: 'Leeds Art Gallery: She-wolf with Romulus and Remus Mosaic' and was used under the terms detailed at the above link on the date this article was first published.